Baritone Björn Bürger has been a member of the Ensemble of the Oper Frankfurt since 2013. In his first seasons with Frankfurt, he sang Harlekin in Ariadne auf Naxos, Bengtson in Die Gespenstersonate, Astolfo in Orlando Furioso, Papageno in Die Zauberflöte and Masetto in Don Giovanni, as well as the title role in Britten’s Owen Wingrave, Dandini in La Cenerentola, Masetto, Schaunard and Harlekin. 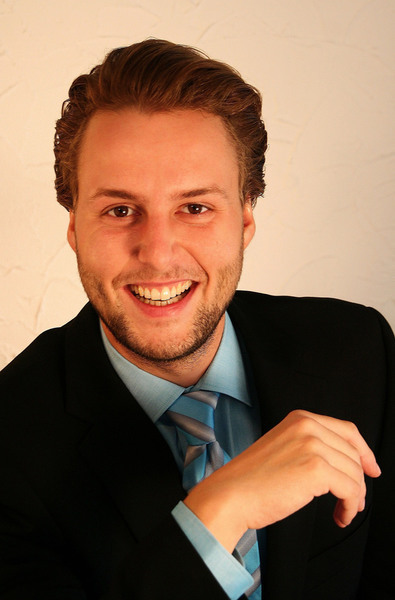 In 2015, Björn Bürger made his debut at the Opéra national de Paris as Papageno in Robert Carsen’s production of Die Zauberflöte and as Don Giovanni at the Norwegian National Opera in Oslo. Last season he was to hear in Frankfurt as Conte Almaviva in Le nozze di Figaro, Frank and Fritz in Die tote Stadt as well as Don Bucefalo in Le cantatrici villane. He made also his debut as Figaro in Il barbiere di Siviglia at the Glyndebourne Festival, Falke in die Fledermaus in Munich (Dir K. Petrenko), Harlekin in Ariadne auf Naxos at Glyndebourne Festival, Don Giovanni and Pelleas at Frankfurt Opera House. Björn Bürger won the first price of the “Bundeswettbewerb Gesang 2012” (National Singing Competition) in Berlin. In 2013, he held first prizes of the “Emmerich-Smola Competition” and of the “Anneliese-Rothenberger Competition”. During his studies at the Frankfurt State Conservatory with Prof. Hedwig Fassbender, he sang Papageno in Zauberflöte and Osmin in Zaide. He debuted at the Grand Théâtre de Genève in Verdi’s Macbeth in a production by Christoph Loy, conducted by Ingo Metzmacher. In the world premiere of Richard Wagner’s Eine Kapitulation at the Festival of Young Artists in Bayreuth, he sang the main role of Victor Hugo. In addition, he sang Argante in Händel’s Rinaldo at the Händel Festival in Karlsruhe.